A Reservist from Nottingham has explained his experiences during the first year of the Royal Artillery’s return to the city and illustrates the opportunities available to those who join the Army Reserve. 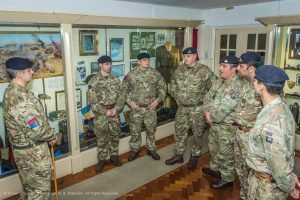 C Troop, 210 Battery, 103 Regiment Royal Artillery was established in Nottingham last year and Warrant Officer Class 2 Jason King, aged 45, has been involved since the start. Jason who works as a Residential and Commercial Property Manager in his civilian career served in 307 (South Nottinghamshire Hussars Yeomanry Royal Horse Artillery) Battery in Nottingham before it was placed into ‘suspended animation’ in 2014. Up until last year he commuted to Leeds to continue his service with 269 Battery, 101 Regiment Royal Artillery. In the last year C Troop has grown rapidly, with members of 307 Battery re-joining and has attracted 12 new recruits. 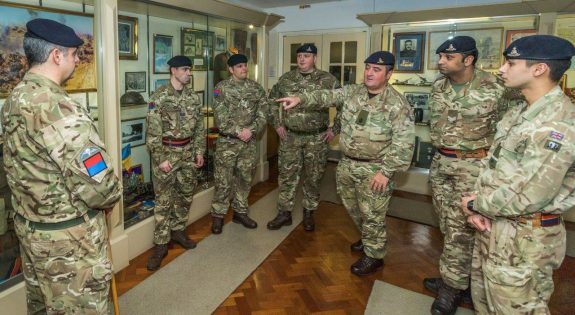 Jason added: “Members of the troop have been carrying out familiarisation training and testing on the light gun in order to be able to fully carry out their roles when needed. The troop is continuing to recruit new reservists and hopes to take the new recruits on six firing exercises and a camp in Denmark in the next year. Jason concluded: “C Troop is the only Royal Artillery unit in the East Midlands. We have many roles available including driver, medic, gun operator and communications specialist. The next year will be really exciting for everyone involved and I’m really looking forward to being fully involved in the many challenges that lie ahead of us as a unit. “C Troop is the only Royal Artillery unit in the East Midlands. We have many roles available including driver, medic, gun operator and communications specialist."